It’s our birthday and we’ll give if we want to! August 5th marks Custom Content Solutions’ 5th birthday. And it’s our golden birthday, to boot! 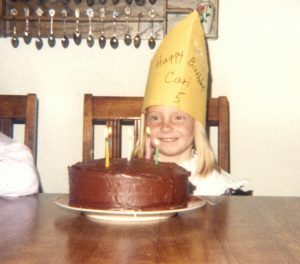 Fun Fact: Owner Cari’s golden birthday was also her 5th birthday! The past five years have been filled with growth, amazing opportunities and wonderful new relationships with individuals like you. We can’t thank you enough for allowing us to be part of your business. To show our appreciation—and for a bit of fun—we will be hosting a little giveaway. Okay, a BIG giveaway. 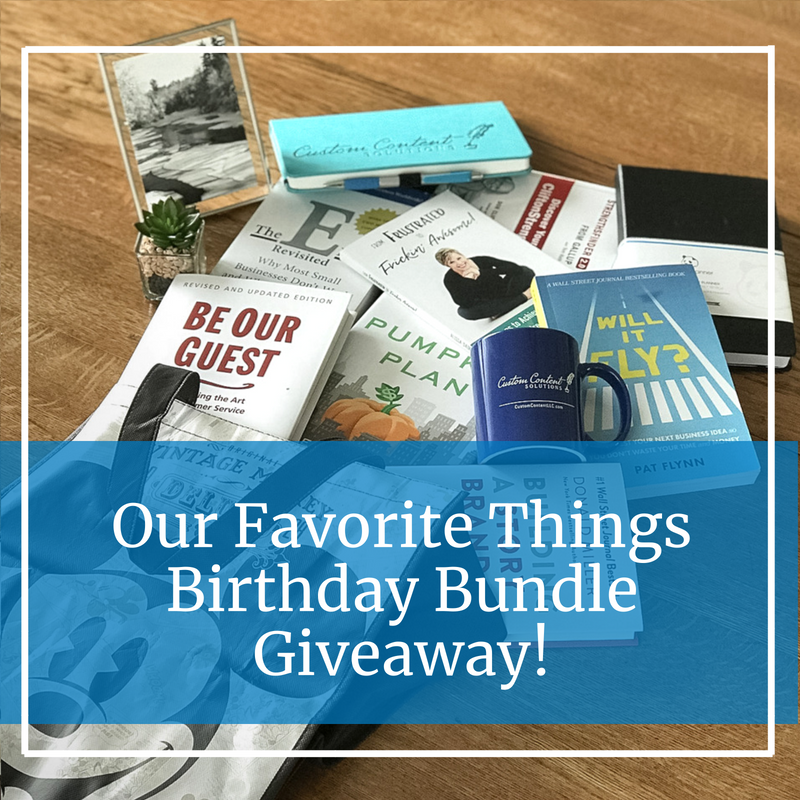 Announcing “Our Favorite Things Birthday Bundle” giveaway! We hope you’re as excited about these items as we are! Make sure you don’t miss out on your chance to grab all the goods. Click the link below to enter the giveaway today! Once again, thank you so much for being part of the first five years of our business life. We can’t wait to see what the next five have in store for all of us. Alrighty! Remember to enter! And remember to share—the more folks you get to join in the fun, the more entries you get in the drawing. Thanks so much! We can’t wait to see who wins! P.S. Our Favorite Things Birthday Bundle giveaway ends on August 12th. Sign up early and share often for a greater chance at winning! Enter the Giveaway Here!